A staging environment sits on the internet in a host similar to your live site. A staging environment is where you can test your site on a different URL such as https://staging.example.com . Usually, this staging site is password protected so that the search engines or uninvited visitors do not see all the goodies you’d bring in the coming days. You may even test the site by publishing a new soon-to-be-popular post. However, if you have email subscribers, you’d spoil the party by sending the post by email. Usually, there is no restriction on the host to send emails. There are always some exceptions, though, such as Google Compute Engine or Vultr (both block emails in port 25). At the same time, we do not want to disable email subscription completely, either. Because, you’d want to see how the new post looks like in an email. So, basically, you’d want to send emails to selected subscribers (for example, everyone in your team). A local environment can be a Windows PC, a Mac or a virtual machine running an entire OS or a virtual machine running WordPress as an app. Here, we will have a web server (Nginx / Apache), PHP (php-fpm or HHVM) and MySQL (or MariaDB / Percona) to serve a WordPress site. This seem good overall. However, most such local WP setups will not have the ability to send emails at all. MacOS can send emails, though. I am not going to delve into how to send emails from your local computer / laptop or VM. Similar to the above use case, here, we’d want to send emails only to you (or additionally to your team mates). The “header_checks” entry is the most important entry. 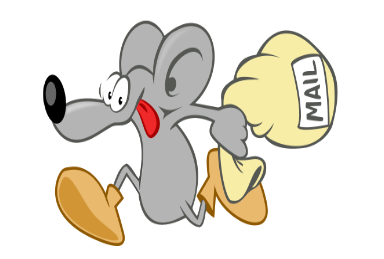 This tells Postfix to check the header of each outgoing email and take appropriate actions that are mentioned in the file /etc/postfix/header_checks . /^To:. *@/ DISCARD Not whitelisted in this computer! Basically, it instructs Postfix to allow any emails sent to myusername@gmail.com and then discard all other emails with a note “Not whitelisted in this computer”. With just three lines of code (one in /etc/postfix/main.cf and rest in /etc/postfix/header_checks or the filename of your choice), we can control the outgoing emails in Postfix. You may have noticed that I have used regex! Yes, we can use regex in this file. DUNNO indicates OK that will let the email to go through Postfix. You may also use OK as syntax. But, it will always mean DUNNO internally within Postfix. On macOS, if you are not aware, we don’t need to restart Postfix, as it is started on demand. But, with Ubuntu and others, you certainly need to restart or reload Postfix to apply the changes. For more information on header_checks, please head over to the official header_checks manual. Previous PostPrevious WordPress Preloading Posts / Pages / Images – What, when and how!